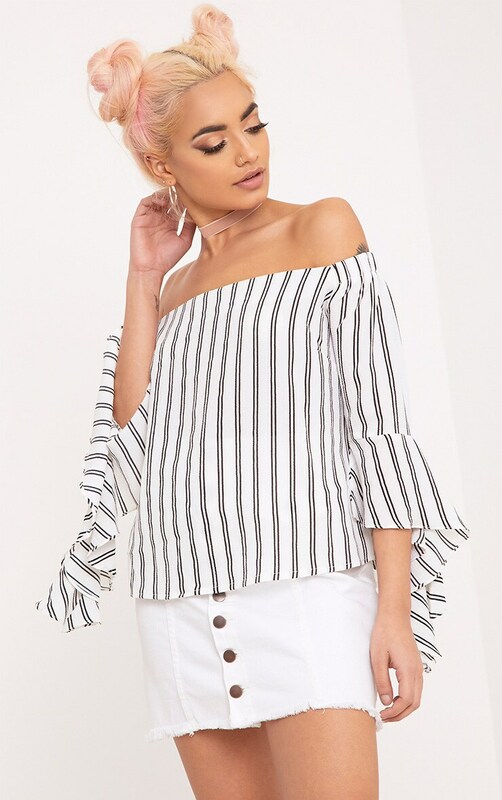 Loving this bardot stripe blouse! 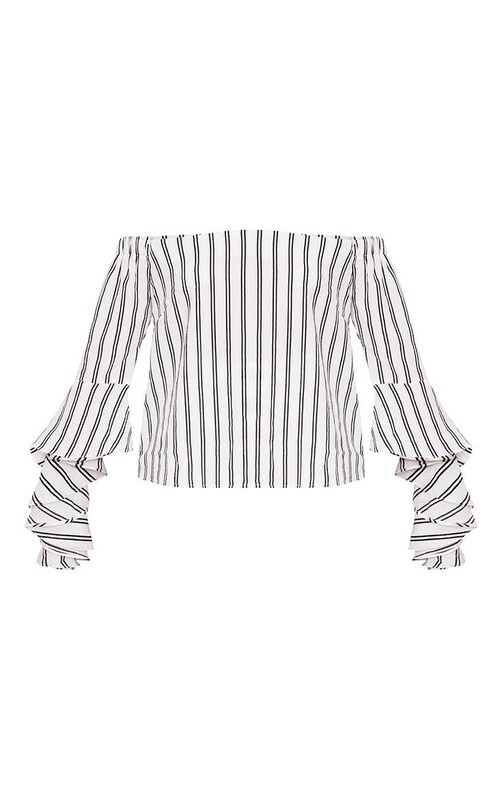 Featuring frill sleeves and bang on trend off the shoulder style. 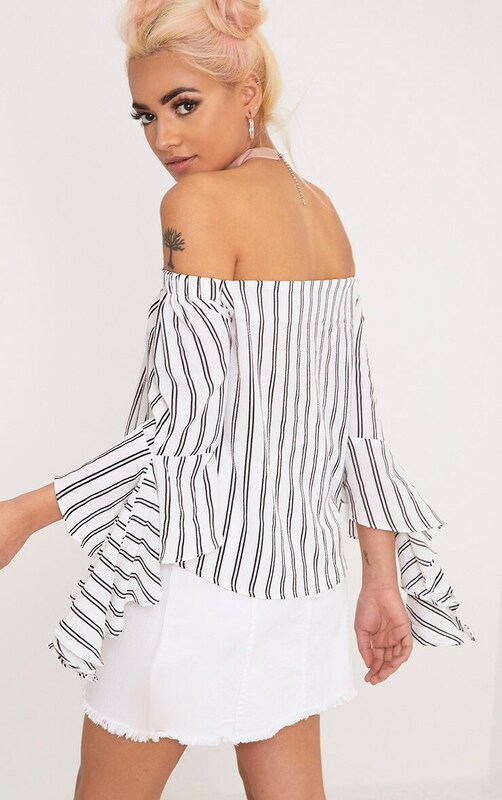 Team with a cute denim skirt and barely there heels for the ultimate season look.